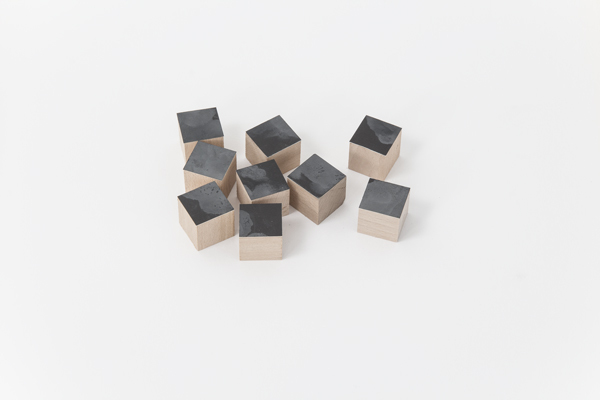 Each piece of the work Head #01 - #12 from the series Materialization is made from a book page, which shows a portrait in black and white and a piece of sandpaper in size 9,5 x 9,5 cm. 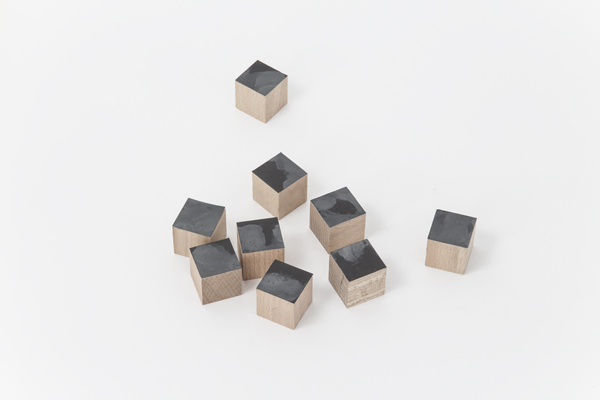 The picture is rubbed with grade 800 grit-paper until the face disappears and the printing ink as well as small particles of paper stick on the sandpaper. 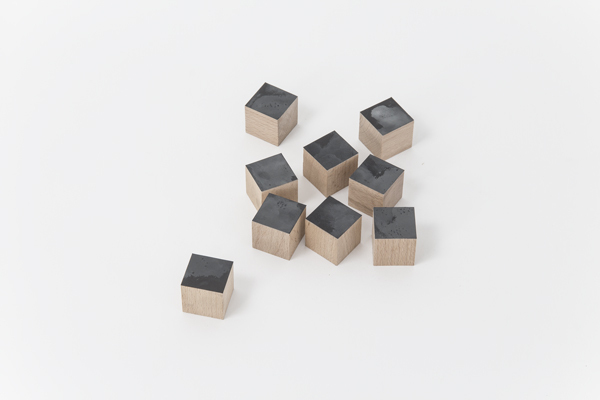 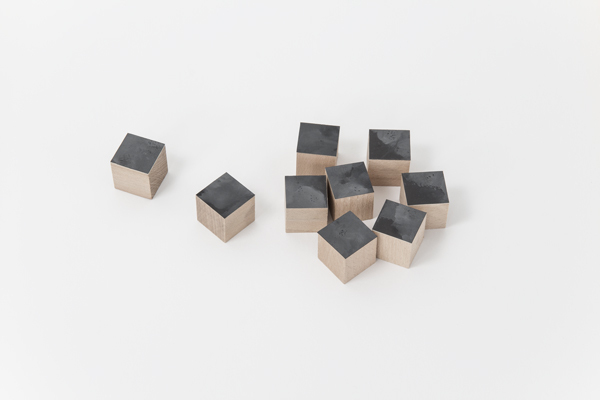 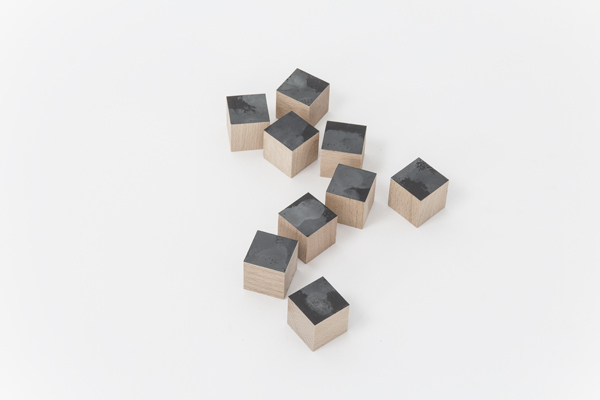 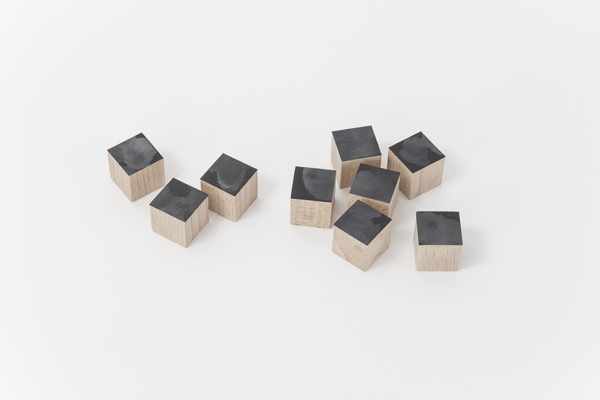 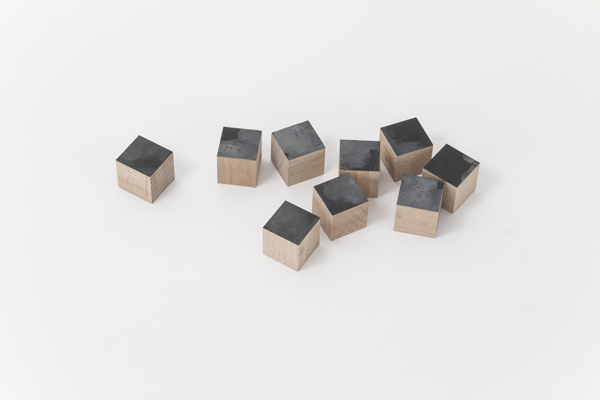 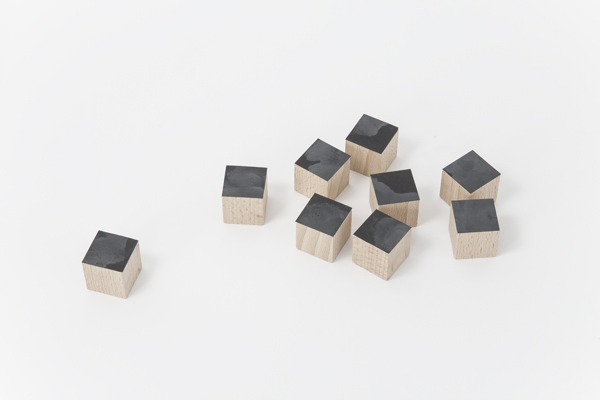 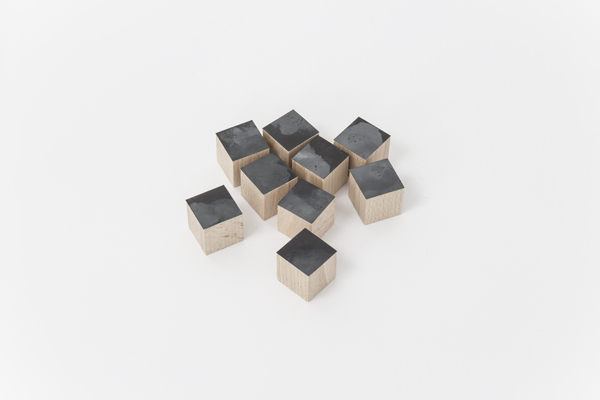 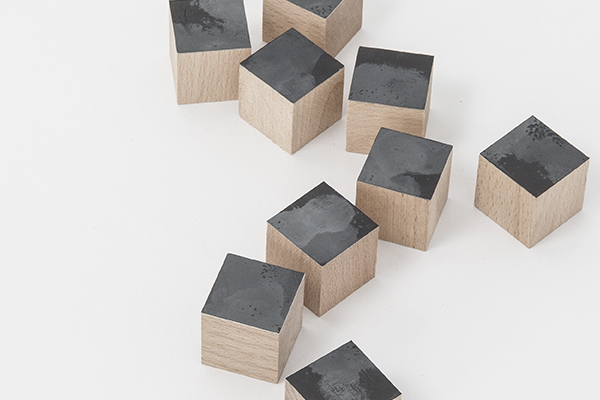 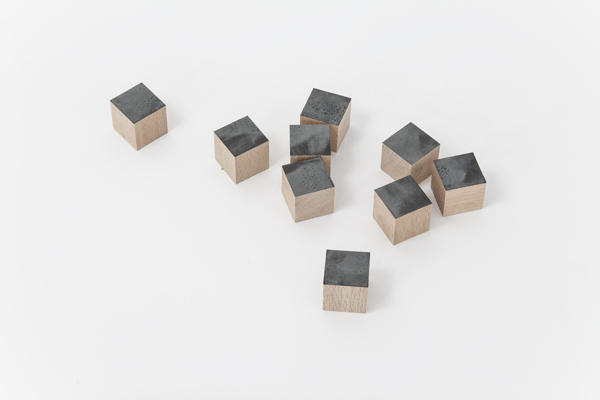 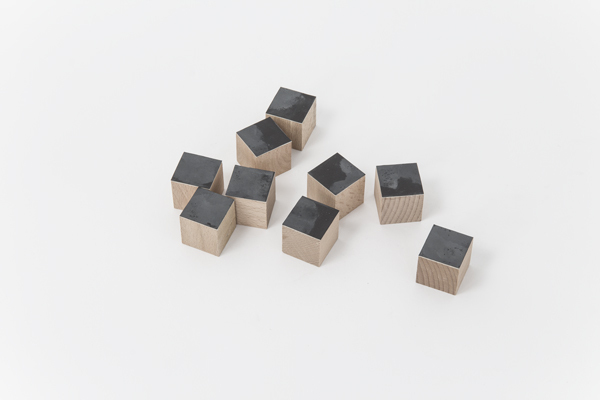 Then it is cut into nine squares, mounted on wooden cubes and presented in random arrangements.